Get Dressed for Battle produces an excellent assortment of medieval weapons that are perfect for re-enactments, display, and use. 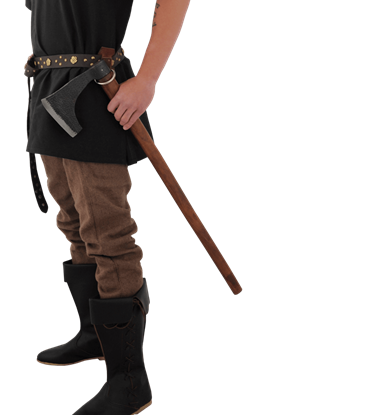 Buying a Sword carries a great range of Get Dressed for Battle weapons, including an array of medieval polearm heads like axe heads, halberd heads, glaive heads, spear heads, and the like. Aside from weapon heads, Get Dressed for Battle also crafts excellent historical weapons like functional axes, medieval flails, and medieval and Renaissance daggers. 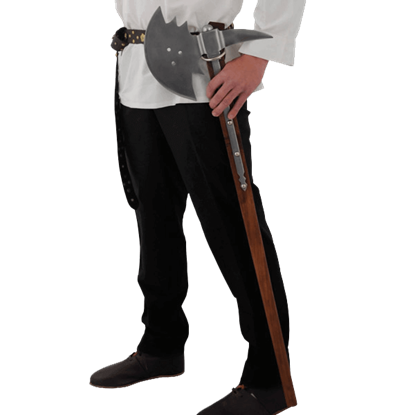 Whether you are looking for a re-enactment weapon to take with you to the Renaissance fair or an authentic piece for your collection, you can find something great here in the Get Dressed for Battle brand at Buying a Sword. 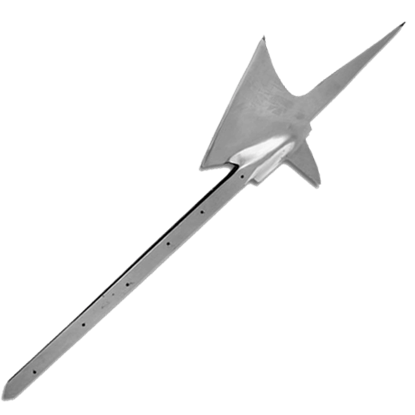 The Axehead was made especially for re-enactment use. 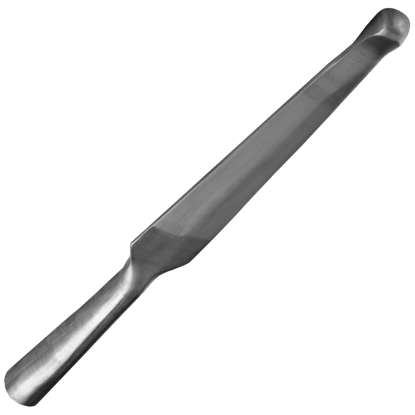 The Axehead is crafted with a 3 mm thick edge, and a safety edge. A perfect replacement head or works well for hand made projects. No shaft is supplied. Though knights often used swords, polearms, and long-ranged weapons, a dagger could come in handy as a weapon for stabbing and thrusting. 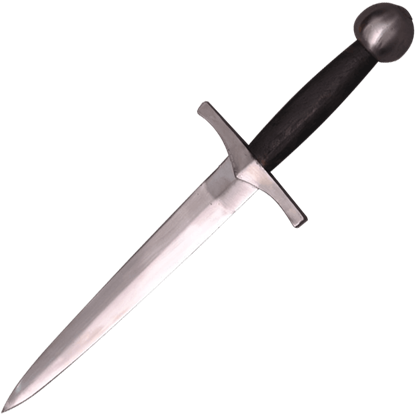 The Chevalier Dagger features a unique squared-off pommel and curved crossguard. 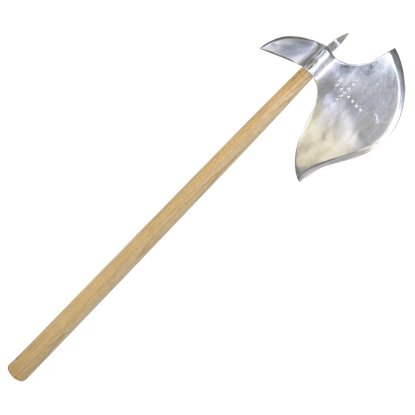 Simple, versatile, and effective are three good words to describe this Danish Axe. 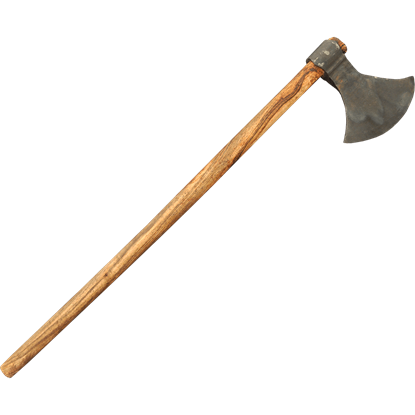 This is an axe that fits all three quite well, because it features a relatively hardy construction, as well as a very versatile form fit for any warrior. Not all axes are brutal beasts that excel at hacking and cleaving. Some, like this German Gothic Axe, are an example of what can happen when axes meet the craftsmanship of the period, which always results in something spectacular. This German Halberd replicates a circa-1500 A.D. museum piece. 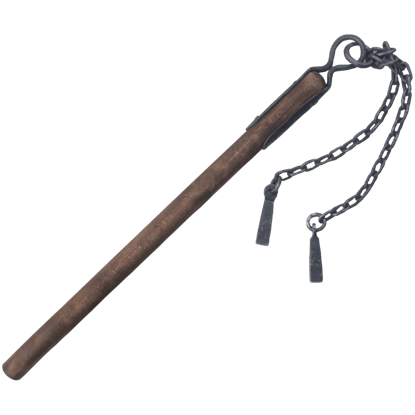 Crafted in 0.25 inch steel with 0.13 thick langets, it is supplied unedged but may be modified easily for a re-enactment use. It is supplied as a head only. 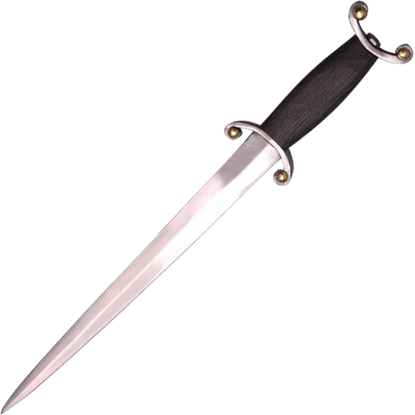 Daggers often serve as a secondary defense weapon for close combat, used most frequently to stab or thrust. The Hammer Head Dagger features a slightly extended pommel that reinforces the grip of your hand. 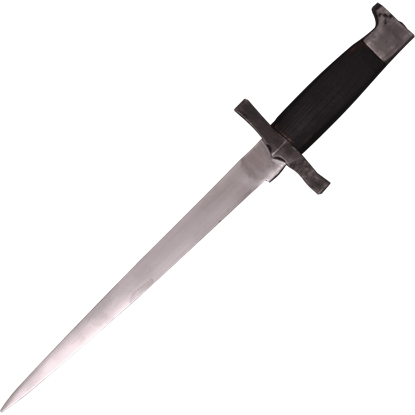 The Medium Bladed Spearhead was made especially for re-enactment use. 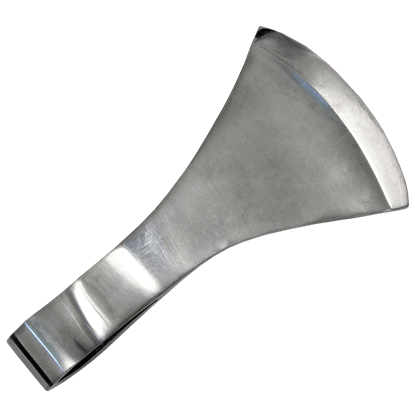 The Medium Bladed Spearhead is crafted with a bulbous tip, 3 mm thick edges, and rounded flanges. No shaft is supplied.